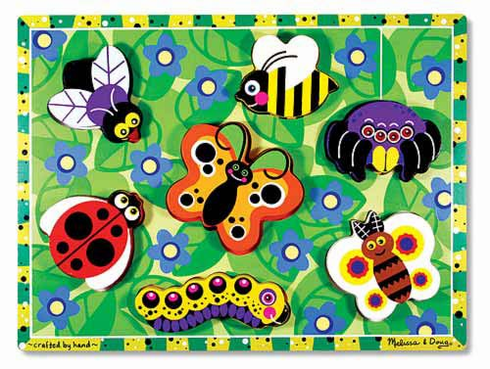 This wooden puzzle features a glorious garden and seven easy-to-grasp bug- and insect-shaped pieces that can stand upright for pretend play. Each chunky piece has a full-color, matching picture underneath. Encourages hand/eye coordination, fine motor skills and creative expression skills.